Point of view is maybe one of the strongest elements of composition that any budding photographer needs to know. Illusion is based off perception, simply because we see something in a certain way does not necessarily constitute it as true. A great and easy way to deceive a viewer is through angles. Angles allow you to portray the same subject in a myriad of diverse ways simply by changing the direction from which you’re shooting. It’s important to understand each angle and its implications before heading off to shoot. First familiarize yourself with the basic angles such as the eye-level angle. 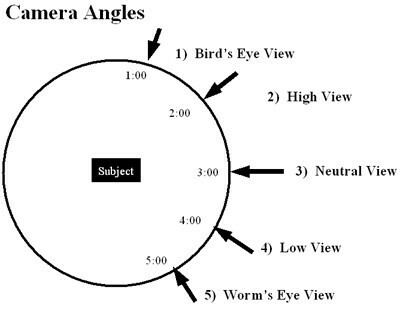 The eye-level angle is the most common angle to use it is formed from a 90 degree from the subject to the camera to ground and lies about 5 ½ feet off the ground at not surprisingly eye-level, it’s also known as the real- world angle. This angle allows you to make direct eye contact with the subject which often evokes a feeling of familiarity and comfort. 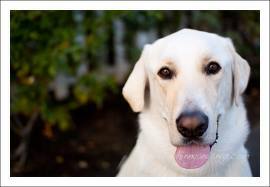 As pet photographers it’s good to utilizes the eye-level angle when showcasing a pet’s classic smile with maybe just a little tongue. The next angle necessary for your repertoire would have to be the low angle or power angle. The low angle is created when you shoot from 45 degrees below your subject. This viewpoint creates that feeling of superiority and can even allow you to distort the size of your pet. Shooting from a low angle allows you to portray your pet as majestic and larger than life. The final angle beneficial to pet photography is the high angle. The high angle is basically the reverse of the low angle, instead of shooting 45 degrees below the subject you now shoot 45 degrees above the subject. By employing this angle in a close-up, you can create an image that showcases the love-able, warm eyes that make us fall in love with man’s best friend. Keep in mind that angles do not pertain to the size or shape of your subject, it’s important to try and experiment till you understand your pet’s angles. Not only do angles allow you to place your pet on a photographic pedestal, they can also portray that innocence that we all love so change it up and practice those angles. Imagining the angles in degrees can be confusing however you can place the angles on a clock face as seen above. 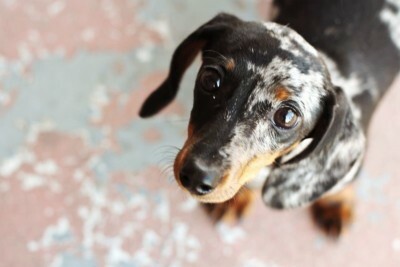 You can see that focus of this image is the pup’s loving, chocolate eyes which is emphasis through the use of the high angle paired with a closeup.